To protect all your files against system crashes, malware infection and other disasters, you’re best off using EaseUS Todo Backup Home. This backup-and-recovery tool costs $29 (about £19.10 ) and allows users to backup files and folders, as well as entire hard drives, partitions, and GPT (GUID Partition Table) disks. The program is better than Windows built-in backup tool and can copy all files or just those that have changed since the last time you performed a backup, also it offers both differential and incremental backup methods. With EaseUS Todo Backup Home application, you can back up specific files, folders and partitions and entire hard drives of up to 2TB, to either the cloud, an external hard drive or elsewhere on your PC. You can choose only backup files that have changed since you last ran the software, or specific types of file, such as photos and videos. The Home version offers advanced options, such as copying files to NAS (network-attached storage), backing up outlook, and Backup Android devices data (including contacts, messages, call logs).But as a reliable and easy means of safeguarding your system, Easeus Todo Backup Home is hard to beat. Backing up personal files and folders is an essential PC task, but we often neglect it because it’s such a tedious and time-consuming process. 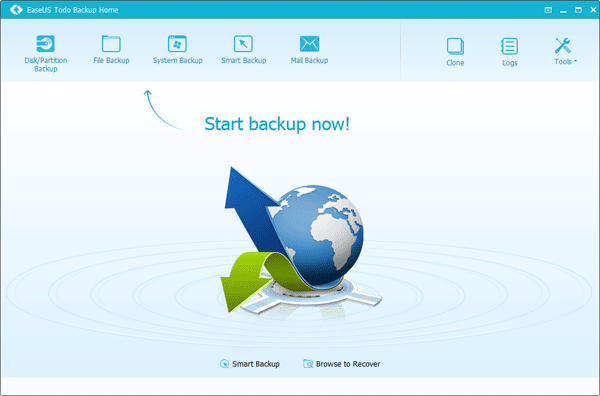 For people who want to easily backup folders or entire partitions, EaseUS Todo Backup is the best application. Go to this promo page in the Japanese language (use google translator or chrome browser), scroll down and simply click the “Hand-drawn Arrow”, proceed till the end and obtain the license code. As they are providing same license code for all users, you can simply copy below code, then download the latest version installer and use the license code to activate the full version. Note: We don’t know how long this giveaway will be available, utilize it before the giveaway expires.